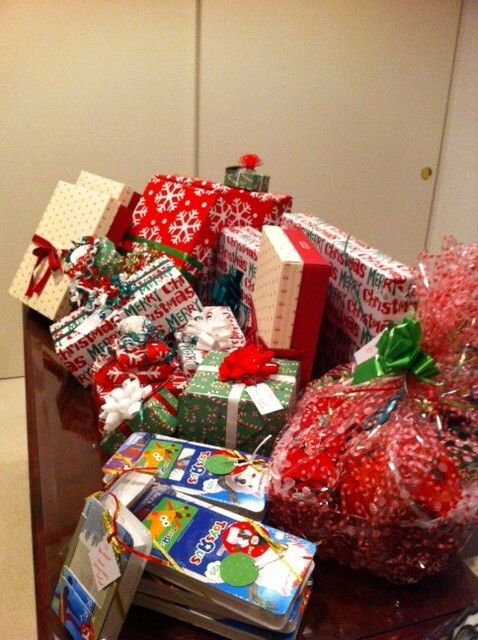 Day 3 of our Take the Daze Out of the Holidays – Ms. Henley’s Guide To A Stress Free Holiday Season focuses on shopping. With the benefit of technology, making lists and having the ability to shop online just got easier. We love Pinterest, so it’s not surprising we would incorporate a wish board into our Top-10 list. Make your shopping efforts easier this holiday season by creating a private Pinterest Board for your family. Task everyone with pinning their wish list to your board so that you have all of their wants, needs and desires in one easy location. Be sure to download the Pinterest App so you have the information at your fingertips. You can also go directly from the Pins to the website so you can order online. Follow our Pinterest board at to check out our favorite things! Tackle your shopping by being organized before you set foot in the mall. Create a gift-giving spreadsheet with the names of everyone you need to buy for and their current sizes. Keep a list as you buy that not only tracks who gets what, but also how much is being spent, what needs to be mailed and/or ordered on-line. Helpful hint: Keep an envelope in your purse that keeps all of your receipts in one spot. Immediately, on the receipt, write the name of whom the gift is being given so that you have an easy record if a return is needed. Take the stress off of holiday meal planning by turning them into potlucks. Guests always ask, “what can we bring?” Now is the time to take them up on the offer. Also, create a meal-planning list so you have all of your recipes and shopping lists in one central location. If you are the guest asking, “what can we bring?” you can decide on one-appetizer or one side dish that you are going to take to all holiday parties. Don’t stress over trying to get creative for every party. Buy ingredients in bulk so you have enough to make several dishes. How is your holiday planning coming along? Let us know! In yesterday’s post, we gave you the first installment of Ms. Henley’s Guide to a Stress Free Holiday Season. We continue today with #’s 5-7 of the Top-10 List. Save yourself a ton of time by getting your lashes done for the holidays. These semi-permanent additions to your look will have you feeling fresh and bright-eyed without spending lots of time in front of the mirror. Most lashes last 2-3 weeks. Don’t forget to book your blow out appointments to save yourself a bad hair day. We all know a good blow out will last a few days – super time saver! 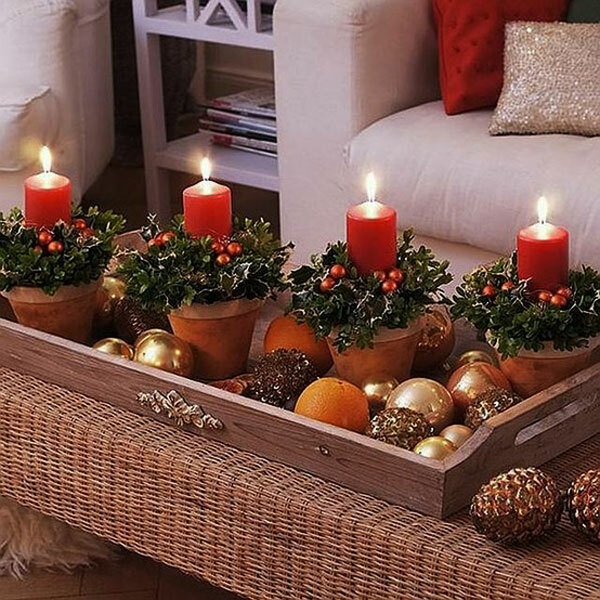 Holiday decorating does not have to be stressful. Keep it simple and stress-free by using what you already have around the house and repurposing from one holiday to the next. We have a ton of ideas if you need any help! Simple things like colored rubber bands can change the look of a basic glass vase or Washi tape around a frame can create a more festive feel to a basic frame or chalk board. Be a good guest and remember to bring a hostess gift to any parties you are invited to throughout the year, especially during the holidays. With a little pre-planning you can have easy gifts on hand. Think about gifts that are useful not just decorative. We like useable items! On a recent trip to Target we found an adorable cookies for Santa tray; which we paired with the ingredients for making and decorating sugar cookies. Wrapped up in a festive bow and you have an easy, yet functional, hostess gift that will be appreciated. We recently had the pleasure of doing several in-home concierge parties, focused on helping clients to take the daze out of the holidays. It gave us an opportunity to present our Ms. Henley’s Guide to a Stress Free Holiday Season. Over the next few days, we will share with you a few of our top-10 list tips so you too can have a stress free holiday season! The average woman spends 60-80 hours preparing for the holidays. This includes shopping, cooking, wrapping and attending events. Be strategic about navigating the holidays and make a plan early in the season. Plan time to bake, shop, write holiday cards, etc. so that you don’t feel crunched for time as the holidays get closer. Decide what can be delegated to your holiday elf! Remember what the reason is for the season! As a family, come up with 3 words that you want to signify your experience during the holidays. (i.e. Family, Joy & Peace). Post these words in a visible location so it continually stays top of mind. Before saying yes to any invitation, activity or commitment, make sure saying “yes” falls in line with your family values. Turn this into a new family tradition. Don’t let parking at the crowded airport cause you stress; instead call ahead and reserve your spot. Sign up for Groupon, LivingSocial, etc. in the city where you are traveling. Offers great suggestions on fun and unique activities at a discounted price. Check back tomorrow for tips #5 – #7 on the Top-10 List! A woman should not measure her value by what gets crossed off her to-do list; but rather by the level of happiness in her heart, and the kind of wife, mother, sister and friend she becomes. Juggling lots of balls should be left to the circus acts – be a woman who values time over “to-do,” and commit to a lifestyle that focuses on unique experiences, family memory-making and sophisticated simplicity. This is what the gift of time looks like…. 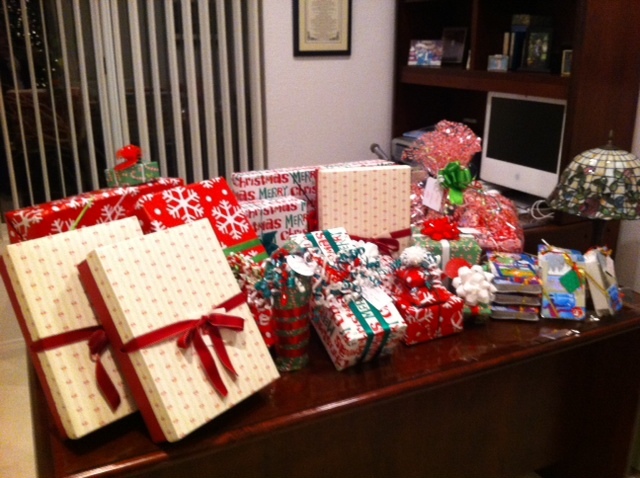 By hiring a personal concierge to gift wrap her holiday presents, our client gained 3 extra hours in her day! We wrapped and she found time to bake and enjoy holiday traditions! A stress free holiday is what we want all of our clients to have! Christmas Tree Delivery | Living Potted Christmas Trees. Why drive all the way to the Christmas tree farm when you can have a live potted tree delivered by a singing elf? I adore this concept! It would for sure get you in the holiday spirit to have a singing elf set up your tree! I had a client use the service last year and he raved about the experience! I hear trees are going fast this year so best to get your order in soon!